For the past two years (2013 – 2014) Southside Bird Club has brought in speakers who have entertained winter hummingbirds in their yards… both of them live north of here. On their recommendations we have gotten in some smaller feeders that are easy to clean and maintain for winter. 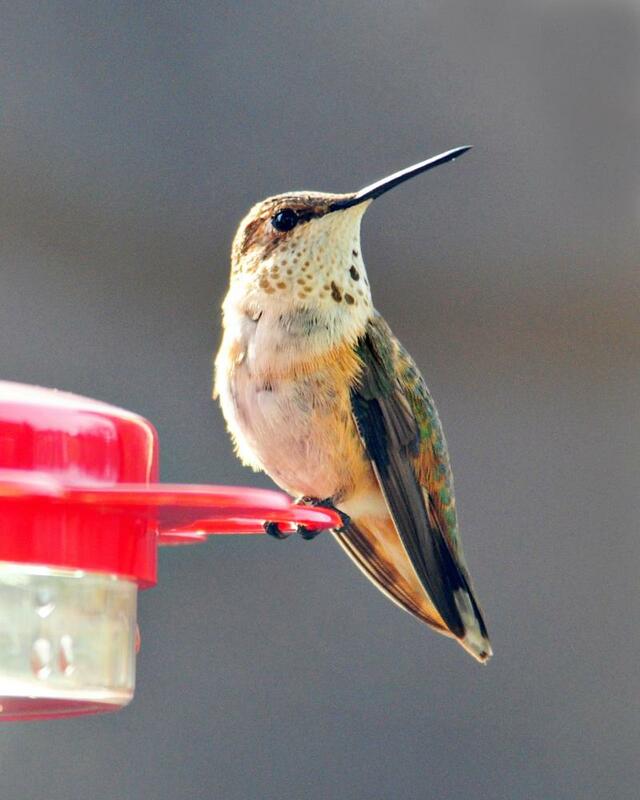 You will only get 1 hummer if you are lucky, so you do not need a large feeder. Winter hummers arrive anytime October thru January. Studies have been done for the past 20 years and research shows this is not something new but rather no one saw them because they had no feeder out. The most common winter visitor you might have is a Rufous Hummingbird others not as common but have made winter appearances are Black-chinned, Allen’s and Calliope. A few ruby-throated hummers have been reported to winter near the coast of Virginia. Most hummingbirds that arrive from October on will stay with you until February or March. 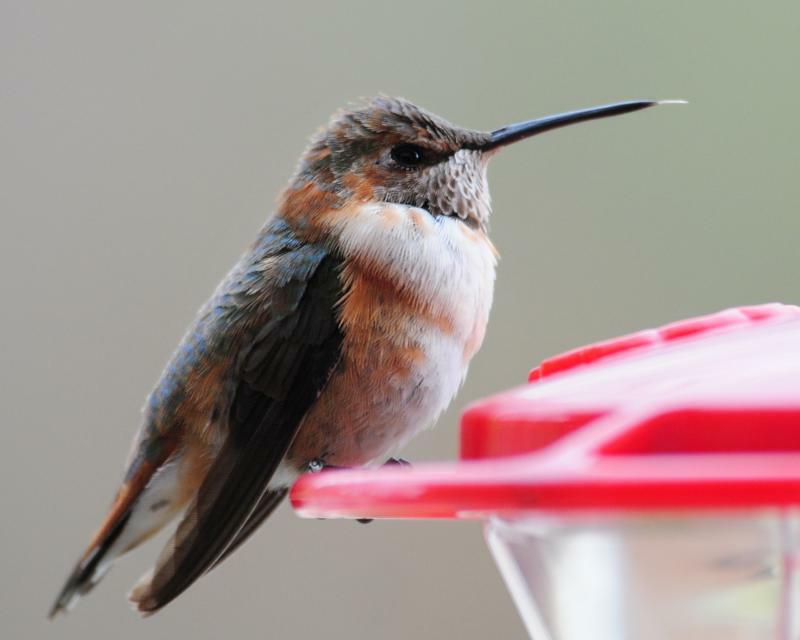 Research has shown the largest number of wintering hummers are reported in late November and early December. Some even arrive as late as the 1st of January. Place your feeder in an open area out in the yard so it can be spotted by migrating birds flying over. Adding a weather guard in bright red will make your feeder more visible for those flying over. Another tip would be to add colorful silk flowers to the pole to draw them in. If you do spot one of our winter hummers do call Raywood to report it. We will get the info off to the proper group and get someone in here to band your little friend.